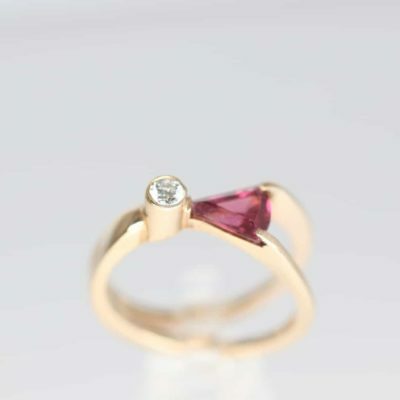 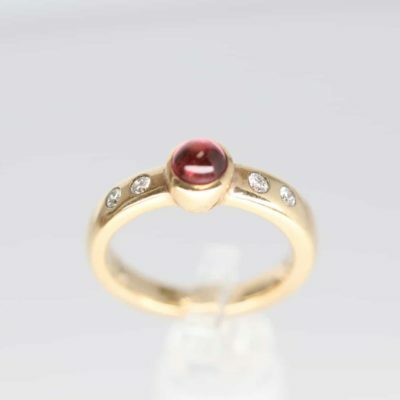 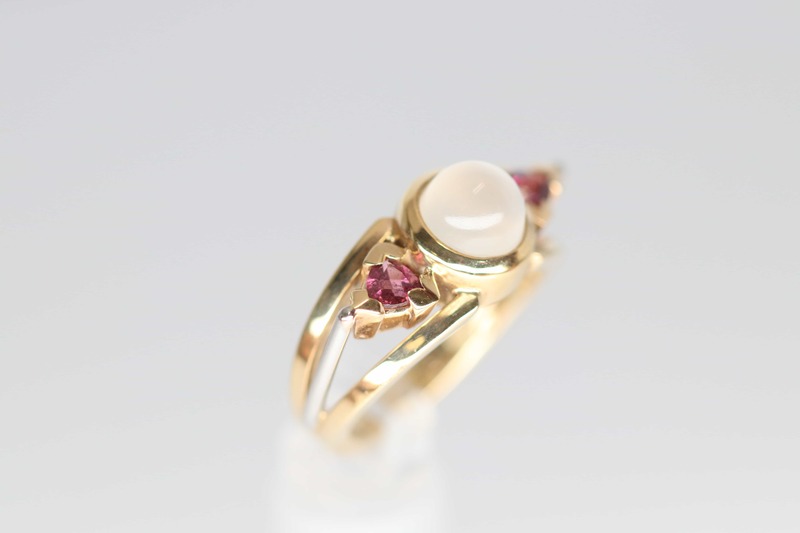 14K, 18K, and Platinum Ring with a Moonstone and Rhodolite Garnets. 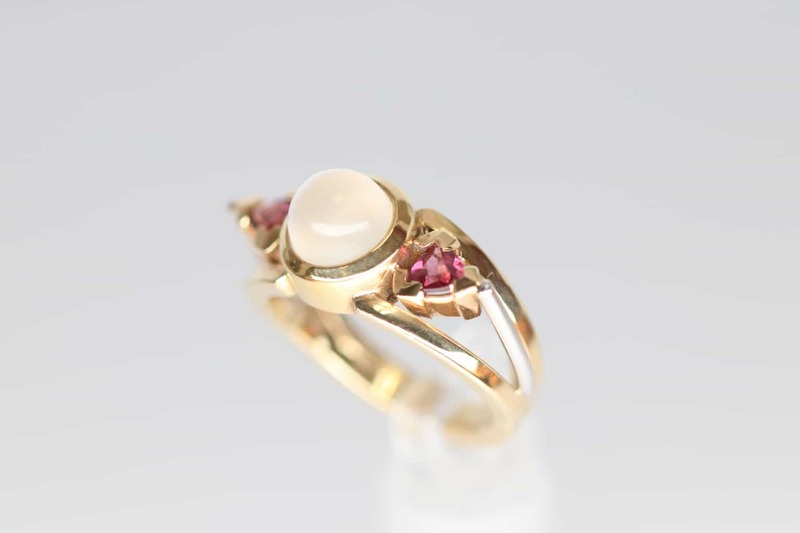 This custom creation is made with 14 and 18 karat gold as well as platinum. 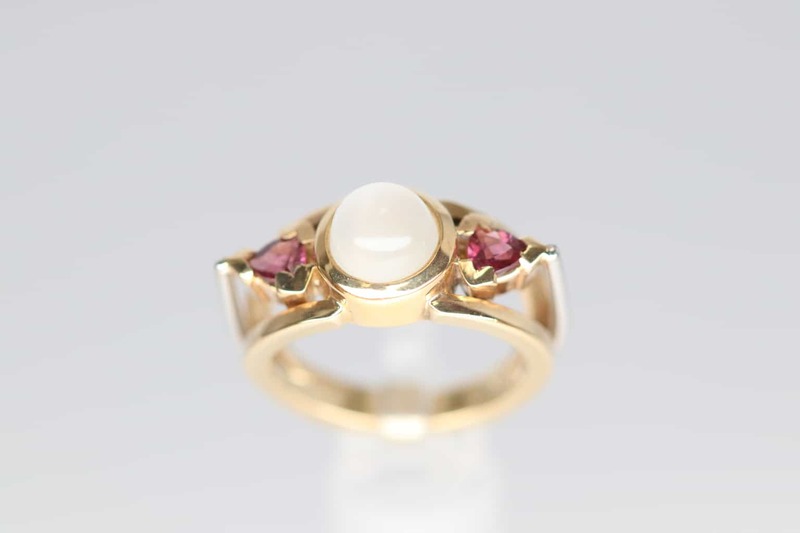 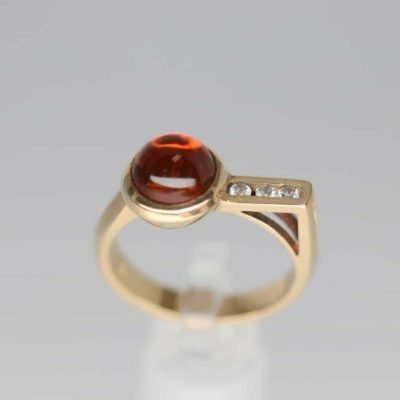 The design holds a unique cabochon cut Moonstone and two trillion cut Rhodolite Garnets.